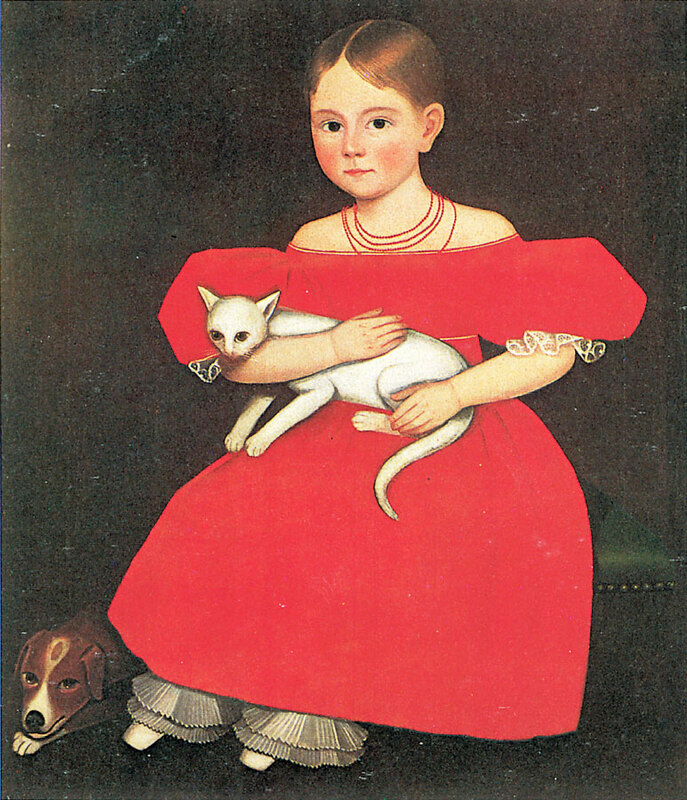 Here is another Art Concentration Game starring the Little Girl in a Red Dress with her cat and dog. I discuss this painting as well as several others by artist Ammi Phillips in American Art History: Volume II, chapter seven. How many cat paws are visible? Where is there lace visible on her dress? Where is the part in her hair? How many dog paws are visible? How many ears (human and animal are visible in the painting? How many strands are on her necklace?